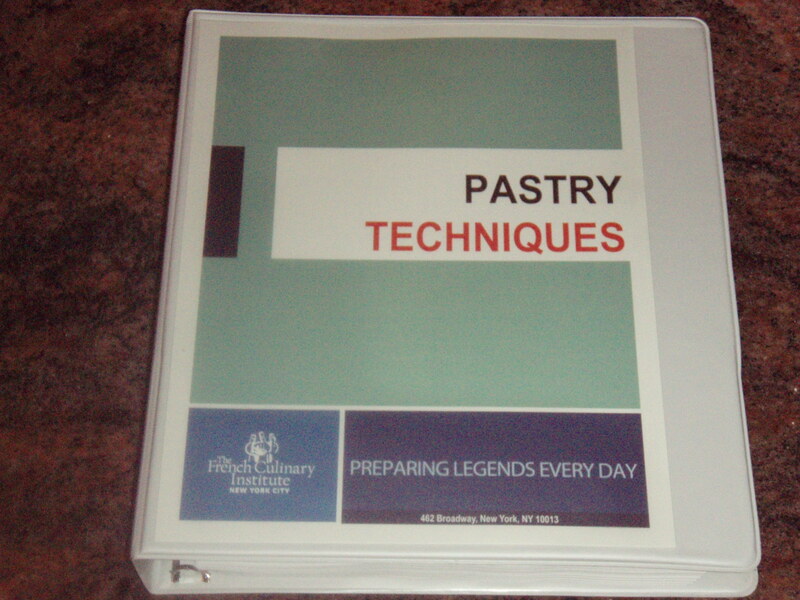 Saturday was the start of my first official baking class! Those who know me know I’m not quite a “morning person”, but I kicked myself out of bed and went to class on Saturday. Needless to say, I had a blast!! Once we all got settled our Chefs performed a demo of what we’d be baking for the day. Since it was our first class we started the beginnings of an apple tart. We made Sucree Dough and Apple Compote. 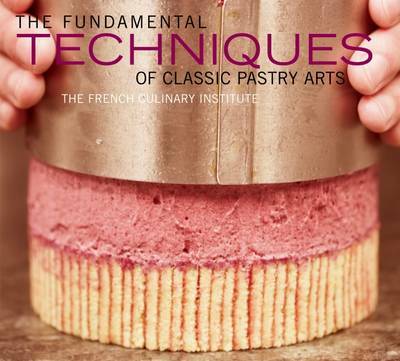 I’m really looking forward to the coming weeks of the class. 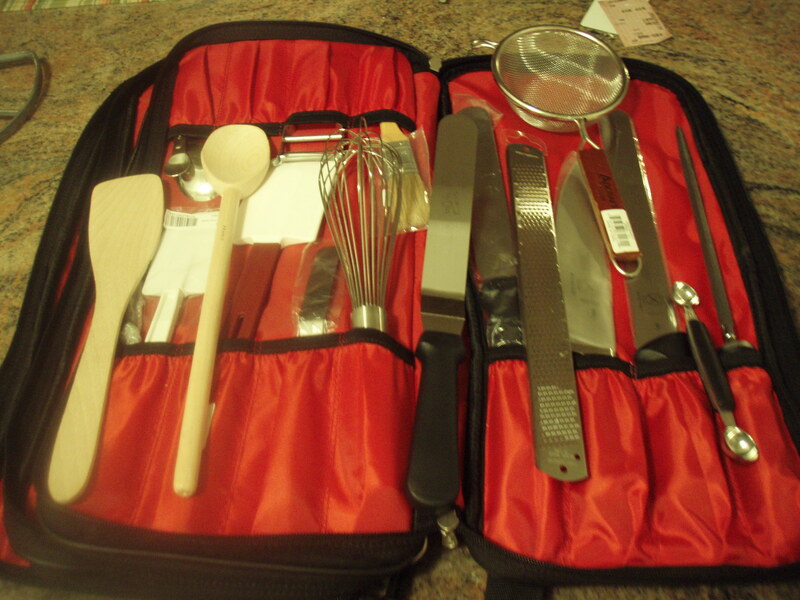 Keep checking back for more pictures, updates, tips and recipes! The best way to start off a morning is with a good cup of coffee and a big slice of crumb cake. Growing up my family always had a box (or 2!) of Entenmann’s Crumb Cake in the house, and my goal with baking today was to create a cake that matched up to my childhood memories. 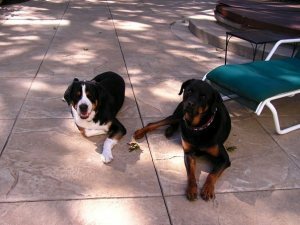 One of my family’s dogs, a Swiss Mountain Dog named Katie, would always try to nudge her way into the pantry doors, mostly for whatever food she could find, but one day she succeeded and made her way to the crumb cake. We caught her and expected to see only crumbs left, but to our surprise she actually only found the time to eat the crumb topping and confectioners sugar off the top, which is the best part! I don’t usually mention my office reviews here on my blog, but this time I decided to share that when I brought this crumb cake into work for my colleague Joe’s birthday Monday morning it instantly became a favorite. 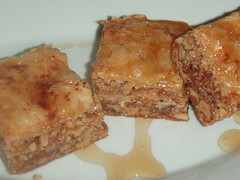 My colleagues all seem to enjoy anything I bring in, but their 2 favorites now are the Baklava (which is requested on a weekly basis!) and this crumb cake! I hope you enjoy it as much as my collegues have! Let me know what you think! 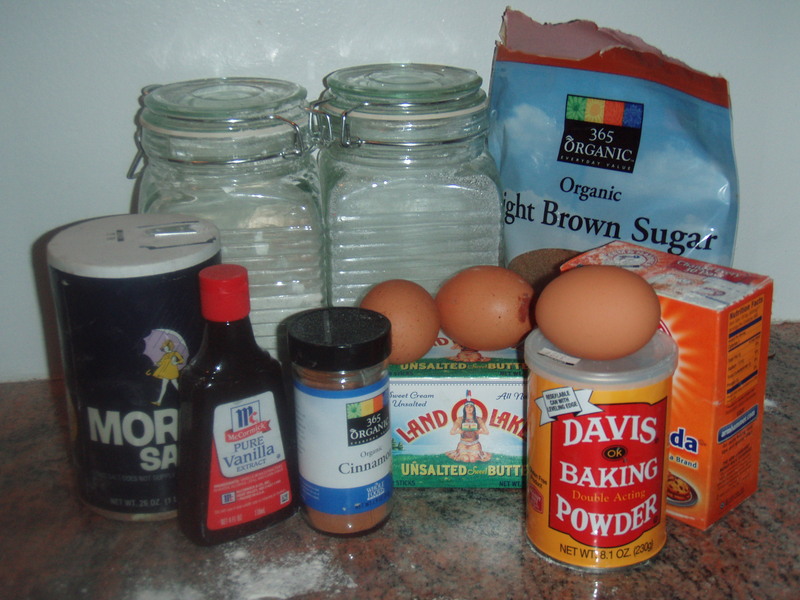 Mix together, in a medium bowl, the flour, baking soda, baking powder and salt until combined and set aside. 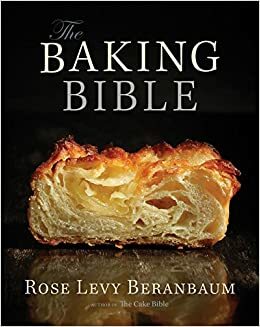 In a large bowl of an electric mixer fitted with the paddle attachment (if you don’t have an electric mixer you can use a rubber spatula), beat the butter and sugar until it is light and fluffy, roughly 4 minutes on medium speed, scraping down the sides of the bowl as needed. Add in 1 of the eggs and beat until just incorporated. Repeat with the remaining 2 eggs being sure to add them one at a time. Once the eggs are added mix in the vanilla. 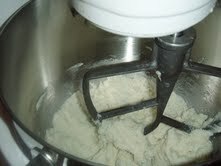 Add in the flour mixture and then the sour cream and beat until just combined. 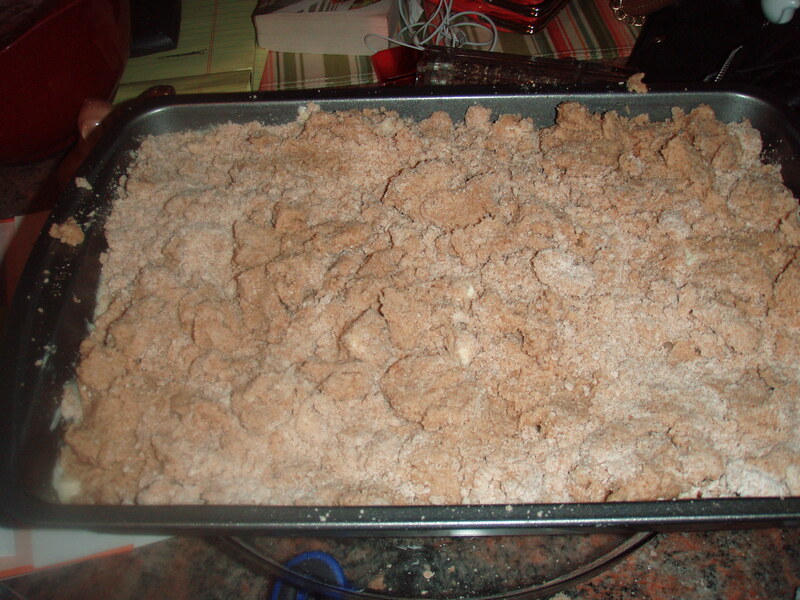 Make sure to continue to scrape down the sides of the bowl as needed so that all of the mixture is fully combined. Spoon the batter into the prepared baking pan and smooth with an offset spatula. In a medium-sized bowl, whisk together the flour, sugar, cinnamon and salt until combined. Cut the butter into tablespoon sized pieces and knead it into the recipe. The intention here is to maintain small, but visible “pearls” of butter. 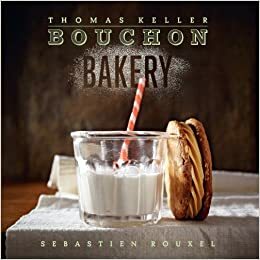 Use the same technique as you did with the Chocolate Chip Shortbread. This topping can be refrigerated in an air tight container for up to 2 weeks if you don’t have time to bake the cake the same day. 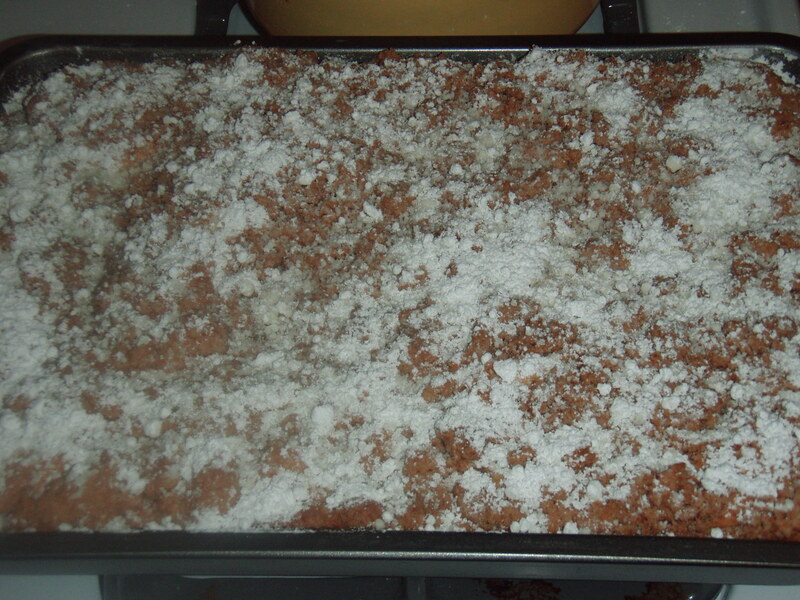 Once the crumb topping is completed and the cake is spread in the cake pan, sprinkle the topping evenly over the batter. 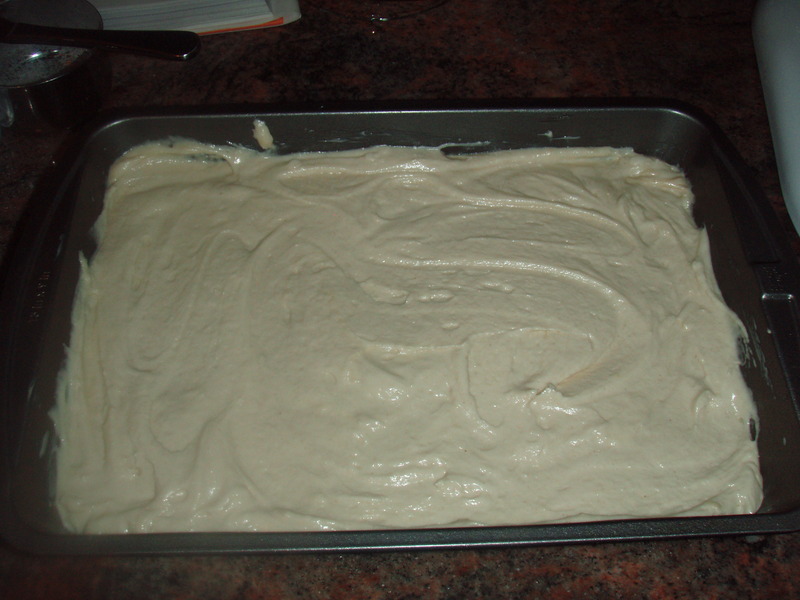 Bake the cake until it’s golden brown and a tester inserted in the center comes out clean, 40 to 50 minutes. Be sure to rotate the pan half way through baking to ensure even baking throughout. Transfer the pan to a wire rack to cool when done. 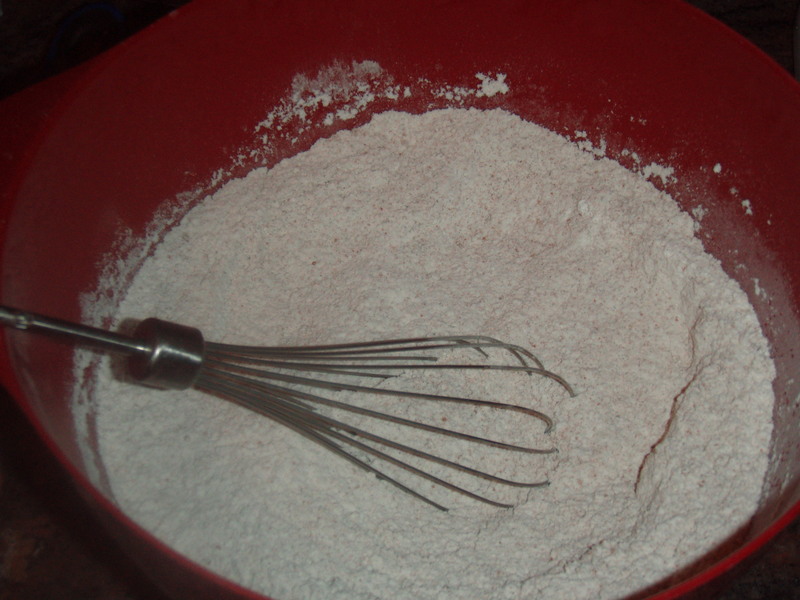 Before serving, dust with confectioners’ sugar. To leave a comment be sure to Click Here and scroll to the bottom!